I was wondering, do people think that Paul Thomas Anderson will be able to make the movie and/or if it is still in the works? Unless the thing is some sort of glowing tribute to L. Ron, surely there will be lots of opposition by the Co$. But I really, really hope they make the movie. And tell the truth. I assume that the "Master" will not be named Hubbard and the Bible-like book the character writes will have to be titled something other than Dianetics. Re: Will the movie get made? I doubt it will ever happen.. and if they do go ahead with the project, it will be heavily fictionalized. Movies nowaday are made with investor's money and they only have one goal in mind: make lotsa $$$. The script has to be one which will excite movie watchers & critics. I think any movie producer willing to consider doing this project will have the catastrophe titled "Valkyrie" in the back of their minds. This entire subforum "L Ron Hubbard: The Movie" is redundant and outlived its original novelty value. Admin, pleeeease cremate it, quietly without sorrow or ceremony. Sprinkle its remains over the ocean of Opinions & Debate and let it disperse. Sponge wrote: This entire subforum "L Ron Hubbard: The Movie" is redundant and outlived its original novelty value. Whhhaaaa?? The mods don't have magical powers? Well, the only way you could make a movie that exposed Elron would be to change enough of the details so that Co$ wouldn't be able to sue. William Bainbridge did it in his book "Satan's Power" where he called Scientology "Thechicanity", etc. Count me in if you ever want to make it! I was in a grade Z horor movie and a couple of radio commercials. I don't know if the guy that made "The Bridge" ever got sued, but I'm sure he at least got harrassed for it. As for making a pro-Scientology bio flick about Elron, I'm sure one will be made someday. Hopefull it's as bad as "Battlefield Earth" LOL! Make sure to use Rifftrax when you watch that one. It's the only way I can sit through it. Elron sucked as a religious leader and a Sci Fi writer. He should have just opened a restaruant or something. "[If] anyone wants a monopoly on Dianetics, be assured that he wants it for reasons which have to do not with dianetics but with profit." —Dianetics by L.Ron Hubbard..who made $640 million dollars from Dianetics. Just a Coincidence. The movie is supposedly back on. According to a piece in today's NY Mag, a new investor has been found - Megan Ellison, daughter of Oracle's Larry Ellison. She and her brother financed the remake of True Grit. She is going to finance two Anderson films. The question is which will start filming first? Stein wrote: The movie is supposedly back on. Kewl! I call dibs on the role of Xenu! I'm already practining my scary evil alien laugh. MUHAHAHAHA! 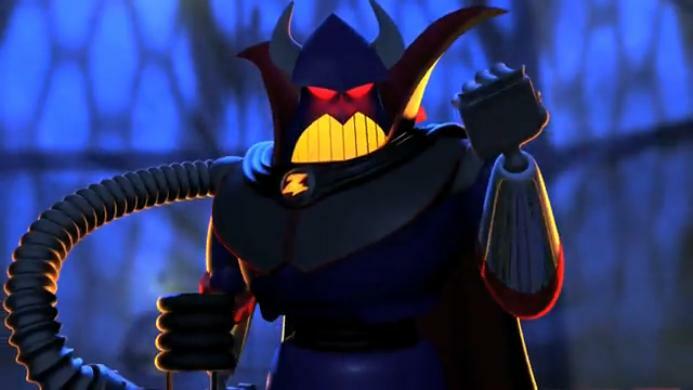 d1684 - While reading your post, I couldn't help but hear the evil laugh of Zurg from Toy Story II. It's a sound and image that will take some time to get out of my head whenever I hear of Zenu. does anybody know if this movie was ever made? I am working on a project for my class and I need to know. My father is a lawyer, but I am a future doctor. It's done ready and scheduled for release on September 14th + has been videly recognized on this board already. hillip Seymour Hoffman is better for Hubbard than Walken. Walken as Rinder makes a good match, I think. It's weird to realize that Rinder *did* escape in. [URL=http://shipsurvey.com.sg/ship-asbestos-marine-asbestos/]Ship Asbestos[/URL] Mike Rinder was being swarmed by church investigators.